The purpose of Antergos is to provide a modern, elegant, and powerful operating system based on one of the best Linux distributions available, Arch Linux. Users need not be linux experts nor developers in order to use Antergos. 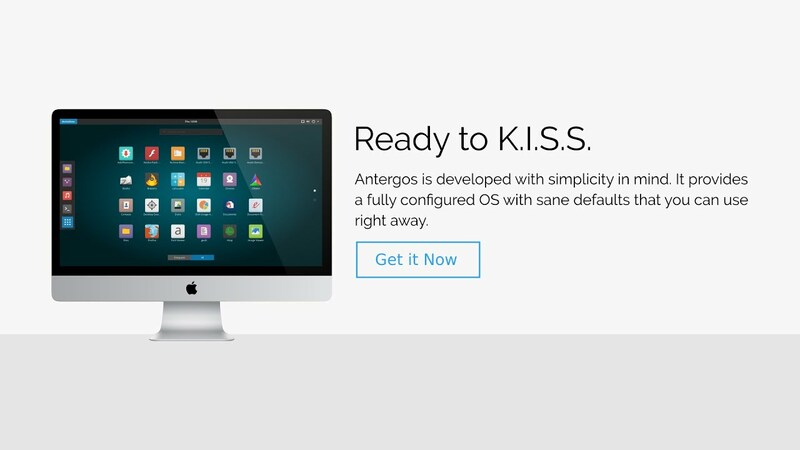 From long-time linux users to linux users of only a few months, Antergos is for everyone. The Antergos Project was originally started under the name Cinnarch, and provided only one desktop environment. Today, Antergos supports multiple desktops allowing users to select their favorite during installation. CinnamonCinnamon is a desktop environment that is based on the GTK+ 3 toolkit. Cinnamon originally started as a fork of GNOME Shell, thus initially as a mere graphical shell of the GNOME software, but became its own desktop environment in Cinnamon 2.0. Cinnamon was developed by (and for) the Linux Mint distribution, with wider adoption spreading to other distributions over time.GNOMEGNOME is a desktop environment that is composed entirely of free and open-source software. GNOME was originally an acronym for GNU Network Object Model Environment. Its target operating system is Linux, but it is also supported on most derivatives of BSD.MATEMATE is a desktop environment forked from the now-unmaintained code base of GNOME 2. The name was originally all capital letters to follow the nomenclature of other Free Software desktop environments like KDE and LXDE. The recursive backronym "MATE Advanced Traditional Environment" was subsequently adopted by most of the MATE community, again in the spirit of Free Software like GNU. The use of a new name, instead of GNOME, avoids conflicts with GNOME 3 components.KDEKDE Plasma 5 is the fifth and current generation of the desktop environment created by KDE primarily for Linux systems. KDE Plasma 5 is the successor of KDE Plasma 4 and was initially released on 15 July 2014. It includes a new default theme, known as "Breeze", as well as increased convergence across different devices. The graphical interface was fully migrated to QML, which uses OpenGL for hardware acceleration resulting in better performance and reduced power consumption.OpenboxOpenbox is a free, stacking window manager for the X Window System. Originally derived from Blackbox, Openbox has now been totally re-written in the C programming language and since version 3.0 is no longer based upon any code from Blackbox. Openbox is designed to be small and fast.XfceXfce is a free and open-source desktop environment for Unix and Unix-like operating systems, such as Linux, Solaris, and BSD. Xfce aims to be fast and lightweight, while still being visually appealing and easy to use. It consists of separately packaged parts that together provide all functions of the desktop environment, but can be selected in subsets to suit user needs and preference.